If you work on your feet daily, then you may experience pain in your feet that radiates up to your back. 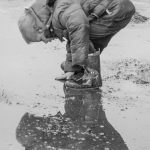 While most of us will shake this off as a symptom of being on our feet all day, what if your boots were the culprit? If you aren’t wearing the right footwear for your long hours on the job, then you are putting undue strain on your feet and joints, which causes misalignment and pressure on your lower back. These 7 best work boots for back pain are durable enough for your work environment while offering enough support to reduce your back pain. 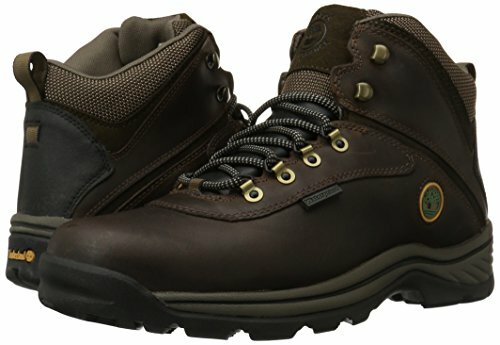 2 What Should I Look For in Work Boots for Back Pain? The combination of durability and comfort is one of KEEN UTILITY’s best features in all of their models. Chronic back pain sufferers will love the KEEN UTILITY Men’s Pittsburgh Steel Toe Work Boot’s EVA midsole and memory foam insole. It forms to the profile of your foot, giving your feet and joints the support that it needs. The extra cushioning will relieve the pressure off of your back, reducing your pain. You’ll notice that both your back pain and foot pain will lessen with consistent wear. This steel-toe boot has a rubber cover, giving your toes even more protection from workplace accidents. A breathable liner makes your feet more comfortable during movement. With a wide toe box and extra arch support, this slip-resistant work boot is excellent for repetitive motions, such as lifting, walking, and shoveling. The KEEN UTILITY Men’s Pittsburgh has some reports of failing lace hooks and a disintegrating sole, but these are relatively minor. There is a small break-in period with the boots, just like any other work boot, but it shouldn’t be more than a week or two. These boots might be expensive, but they are well worth the investment. Timberland is a reliable name in work boots, and most people who work outdoors have tried them at least once. The company has several repeat customers because they make comfortable, quality work boots that last. The soft-toe Timberland White Ledge Men’s Waterproof Boot has a platform, shock-absorbent rubber outsole and excellent arch support that eliminates stress on your back as you are walking. They have great traction for a variety of environments. The padded ankle collar and EVA foam insole make the shoe as comfortable as possible, to keep your feet and back pain-free throughout the day. They run narrow, so you’ll have to adjust your standard size to get the right fit. There is a minor break-in period that shouldn’t last longer than a few weeks. Some users complained that the waterproof seal in the full-grain upper leather leaks occasionally, but you can fix this with a waterproofing spray. The leather upper separates from the sole and the lace hooks break after consistent daily use. Buyers may be hesitant to invest in such a pricey pair of work boots, but those who wear the White Ledge compliment its comfort and breathability during long stretches. 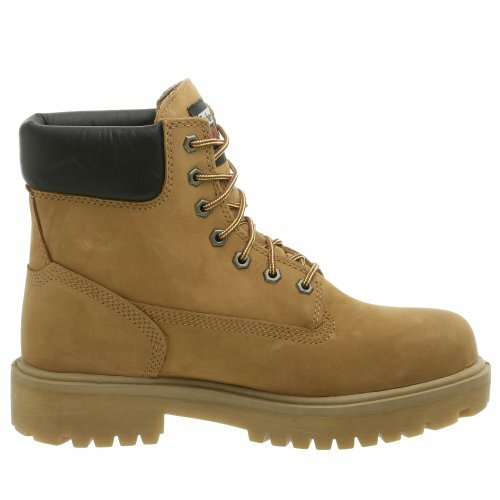 The Caterpillar Men’s Second Shift Steel Toe Work Boot is perfect for construction workers who suffer from back pain. This ASTM-certified steel toe boot has a slip-resistant, Goodyear welt rubber outsole that is easier to re-sole than other work boots. The heel arch avoids slipping off ladders, and the outsole has good traction on multiple terrains. 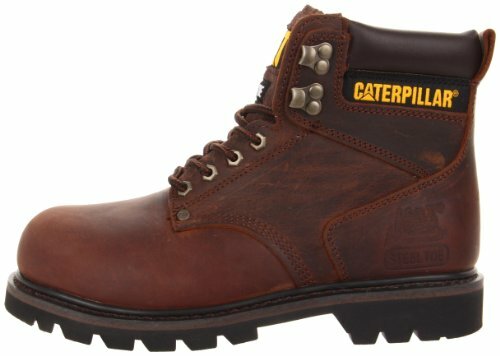 The Caterpillar Men’s Second Shift Steel Toe Work Boot moves with you: the durable leather-grain upper is flexible without being too stiff, and the padded ankle collar eliminates blisters. 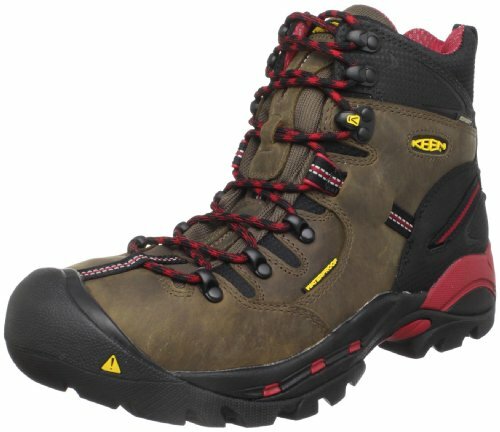 This lightweight boot also has good arch support, and its 6” height from the arch protects both your ankles and feet from injury. The best features of the Caterpillar Second Shift are the internal mesh liners that pull moisture away from your feet and the anti-microbial, removable insoles that cut foot odors. The Caterpillar Men’s Second Shift Steel Toe Work Boot has a mild breaking-in period, but they still appeal to buyers because of their comfort and their availability in wide sizes. There have been minor complaints on the quality of their construction. The lace hooks are flimsy, and the sole detaches within a year of consistent use. The stitching on the boot sometimes fails, making the boot less water-resistant. However, these complaints were relatively minor, and the Caterpillar is a great budget-friendly option for those who are looking to relieve their back pain with a more comfortable work boot. If you find that soreness in your feet radiates to your back, then the Timberland PRO Men’s Direct Attach Soft Toe Boot may be your solution. It is one of the most comfortable waterproof work boots on the market, with its targeted insulation to protect your feet from extreme hot and cold temperatures. An anti-microbial mesh liner inside prevents sweaty feet and odor. The Timberland PRO measures 6” from the arch, stabilizing the foot and ankle, and its unique Comfort Suspension system with arch support reduces aches and pains in the feet and back. The shock-absorbent rubber outsole has excellent traction for all work environments. Like most Timberlands, the PRO is on the expensive end of the price point. There have been some reports of stitching failure and sole breakage within a year of purchase, but those who have worn the Timberland PRO often replace them with newer ones because of the immense comfort they provide. EVER BOOTS is in the business of creating comfortable and durable work boots for any environment. 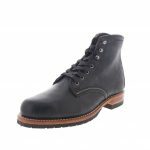 The EVER BOOTS Tank Men’s Steel Toe Oil Insulated Full Grain Leather Work Boot is for those who suffer from foot and back pain. The slip-resistant, Goodyear welt rubber outsole is resilient to multiple terrains, and the cushioned insole is removable for a custom orthotic replacement. Under the durable leather upper is a breathable mesh lining for more comfortable, long-term wear. At 7” from arch to top, the Tank Men’s Steel Toe protects your feet and ankles from injury. Most who try the EVER BOOTS Tank rave about their arch support, but there is a break-in period. You’ll need to waterproof the leather upper if you work in extremely wet conditions. Although the company promotes its breathability, it is better for warmer climates: you’ll need to wear some thick socks in cold weather. The leather upper is durable, but it stretches over time, altering the fit of the boot. Customers have also reported that the upper detaches from the sole and the lace grommets break within the first year. Overall, this budget-friendly option is comfortable enough for a long day at work, while being resilient to multiple environments. 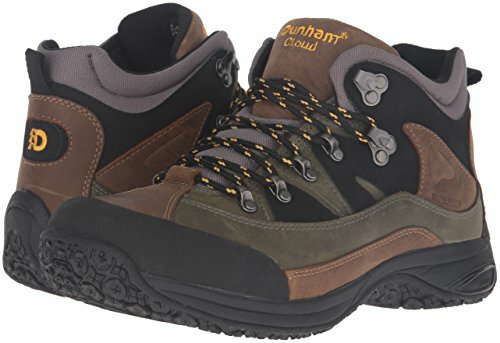 The Dunham Men’s Cloud Mid-Cut Waterproof Boot has an appropriate name: customers who have used them compare the experience to walking on clouds. 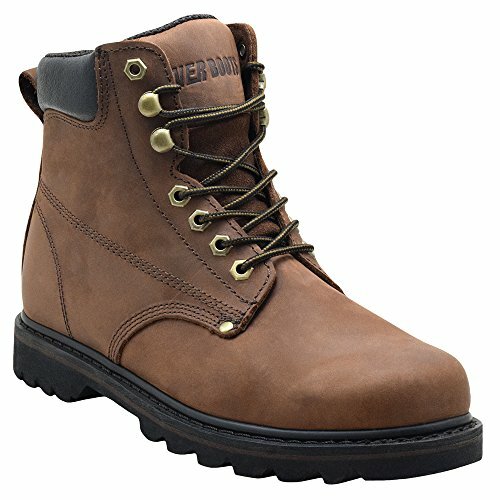 This lightweight and waterproof leather work boot is all about comfort. The padded ankle collar and gusseted tongue reduce blisters, and a shock-absorbent, removable EVA memory foam insole eliminates stress on your feet and back. Dunham created a true orthotic boot to cure back pain on the job. In addition to excellent traction, the shoe has incredible arch support and a roll bar that aligns your gait to improve your posture while walking. Although the Dunham Men’s Cloud Mid-Cut Waterproof Boot comes in a wide selection of sizes and widths, including half-sizes, keep in mind that they will run narrow. The Cloud is better for work environments where there is little chance of dropping something on your foot or stubbing your toe against hard surfaces. It does have a rubber bumper to give some protection, but with no safety toe, it won’t pass safety standards on some job sites. It only measures 4.5” from the arch, so it has little ankle protection. Reports of manufacturing defects in the lace grommets, stitching, and waterproofing might make some buyers hesitate over the moderate price tag, but it is a sturdy orthotic boot for those with severe back pain. 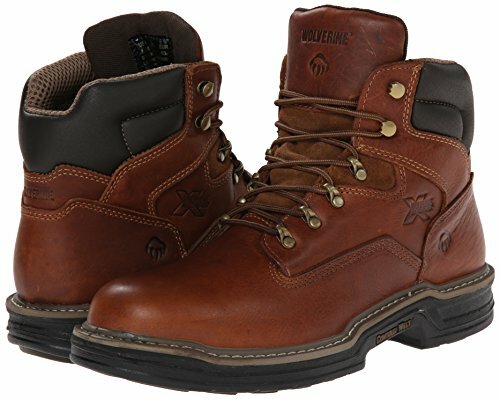 Wolverine is a trusted manufacturer in men’s work boots, and the Wolverine Men’s Raider 6” Contour Welt Boot is one of their most popular designs. With its patented Multishox shock-absorbent insole, the Raider relieves pressure and pain from the joints in your feet. This pain can slowly radiate up to your back, making the workday unbearable. With its contour welt design, the Wolverine Men’s Raider naturally moves as your feet do, bending with your feet as you walk. This relieves tension between your feet and the shoes, making them more comfortable to wear and reducing blisters. This soft-toe boot won’t pass some safety requirements for particular jobs, but they will keep your feet from aching if you do a lot of walking on your job site. There is no break-in period with these boots, and there is a mesh interior that makes them breathable. They aren’t waterproof, and the sizes are narrow enough to warrant buying a size up. A few downsides to the boot are that the metal grommets have been reported to break, and the leather upper is not as flexible as advertised. However, its moderate price tag compared with its cushion and comfort make it an appealing option. 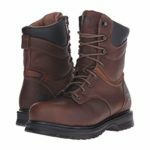 What Should I Look For in Work Boots for Back Pain? Comfortable insoles. Strain on the feet leads to back pain. Having a work boot with both support and bounce-back is crucially important. You’ll want insoles with great rebound in the ball of your foot and heel. When you walk, this relieves the strain on your feet and heels, stopping the pain from traveling up to your back. Wide toe box. If your toes cram into the front of your work boot, this can cause foot pain. When your feet hurt, you will compensate by shifting your weight, which can misalign the disks in your back. Traction. When working on slippery or rocky surfaces, having good traction on the bottom of your boots will prevent falls, which can hurt your back. EVA foam. A polymer substance that is both a strong rubber and a porous foam, it is strong enough for shock absorption and soft enough to for comfort. Most of these insoles are removable, so if you need more specific foot support, you can replace it with your custom orthotic or comfort insole. Waterproof vs. Water-resistant. There is a difference between water-resistant and waterproof: Water won’t leak into sealed waterproof boots. 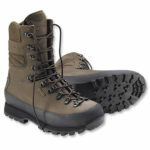 Water-resistant boots do not have this protection, making it more likely for water and moisture to get inside the boot. Anti-microbial/moisture-wicking insoles and lining. This pulls moisture (from sweat or wet environments) away from your foot so that you will have dry feet throughout the day. Searching for the perfect pair of work boots for back pain is like shopping for any other type of footwear. 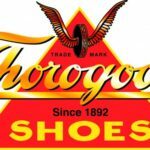 You want a pair of boots that will be comfortable yet durable, and you are looking for the characteristics that will eliminate the soreness in your back. Having a combination of EVA and memory foam in your soles will alleviate the pressure on your feet that causes back pain. You also want something breathable to keep your feet from sweating too much, and you want something that will hold up to the conditions of your working environment. This is why the KEEN UTILITY Men’s Pittsburgh Steel Toe Work Boot is our pick for the best work boot for back pain. Its extra cushioning where you need it and arch support make it the most comfortable work boot on our list. Buyers are also attracted to its short break-in period. Its minor reports of manufacturing defects pale in comparison to its benefits. This comfortable work boot will ease your back pain to make your long workday less irritating. Yeoman, Steven G., DC. “How Foot Orthotics Help Low Back Pain.” Spine-health. November 2014. https://www.spine-health.com/wellness/ergonomics/how-foot-orthotics-help-low-back-pain.